There are some Eureka moments in being a parent mixed in with many WTF times. 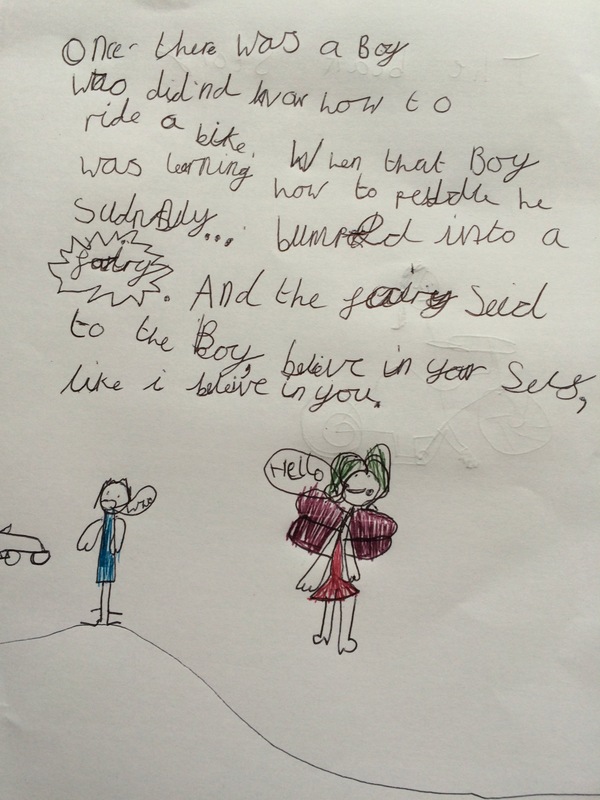 Today Little Miss came to read me the story she had written about a little boy learning to ride his bike. The line which stopped me and made my heart sing was the fairy saying “Believe in yourself like I believe in you”. I have no idea where I got this phrase from as it does sound like something out of a Disney film, but it is a little phrase I share with the little ones to boost their self confidence and hopefully sprinkle positive thoughts about themselves. To hear it being read back to me makes me hopeful that the positive messages are getting through (IMO this is one of the more twee lines, some are a lot more wise) and that these positive remarks are helping Little Miss and Little Man to develop into positive, confident children.